A deaf man has formed an incredible bond with his deaf dog, communicating with the puppy by using sign language. 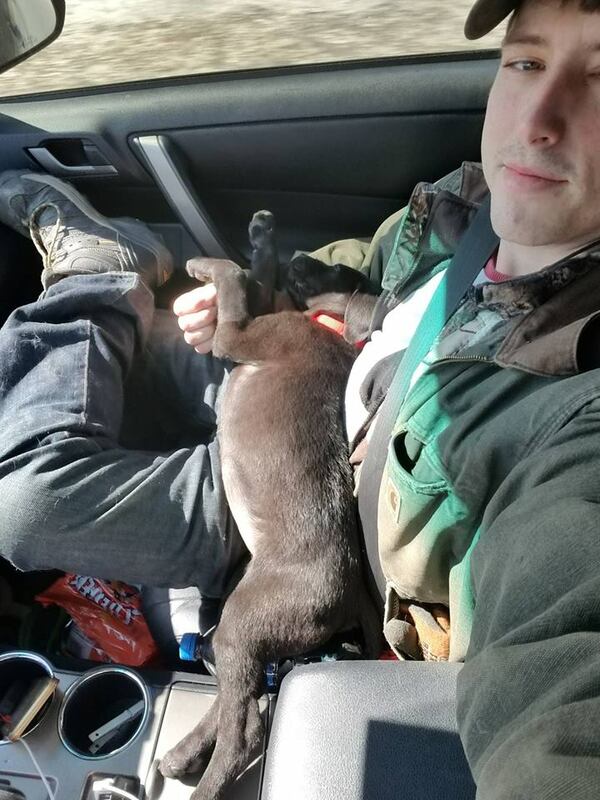 Nick Abbott from Gardiner, Maine, adopted 12-week-old puppy Emerson after reading a Facebook post about him which explained he needed a home. Being deaf and visually impaired, Emerson requires special attention which Abbot was more than happy to provide. Emerson started out in life in a tough spot. He and his siblings ended up in a dirty southern shelter around six weeks of age. Within a couple days, he and his siblings were taken into foster care. Emerson began having seizures so he was hospitalised. While hospitalised, he broke with the dreaded parvo virus. Luckily it was caught very earlier and he recovered quickly from both his seizures and parvo. Emerson is now a healthy, awesome puppy. We aren’t sure if Emerson was born deaf and visually impaired or if it was a result of the seizures but what we DO know is that neither one of those bother him one bit. He’s a social boy who will make an EXCELLENT family member. Just look at that face, it could melt the iciest of hearts! Abbott noticed the post and messaged the shelter, expressing interest, adding that he too is deaf. Just two days later the two met and there was an instant connection. He came straight to me at the door and sat right away at my feet and stayed there. So you can tell he kind of picked me. And I knew right then and there that we would get along and understand each other pretty good. The shelter realised the fit was perfect, so Emerson went home with Abbott to start their life together. Abbott is teaching Emerson how to do tricks by using visual commands, so the doggo now sits when his owner signs the letter ‘S’. Emerson also knows to lie down when Abbott sweeps his hand across in a straight line. The bond that we have is awesome. We understand each other very well. I’d like to think it was meant to be. He’s special. Well it seems clear to us ‘it was meant to be’…. so cute!